Alright ya’ll, it’s time for margaritas!! I’m a huge margarita lover! Next to sweet tea, I think this is possibly my favorite drink! This love affair started back in college when my friends and I would make our weekly trips to our favorite Mexican restaurant! We would get full off of the free chips and salsa and order SEVERAL frozen margaritas! These margaritas were huge and very strong! Luckily, our dorm rooms were within walking distance lol! But seriously, after that, I was hooked and margaritas became my signature drink! 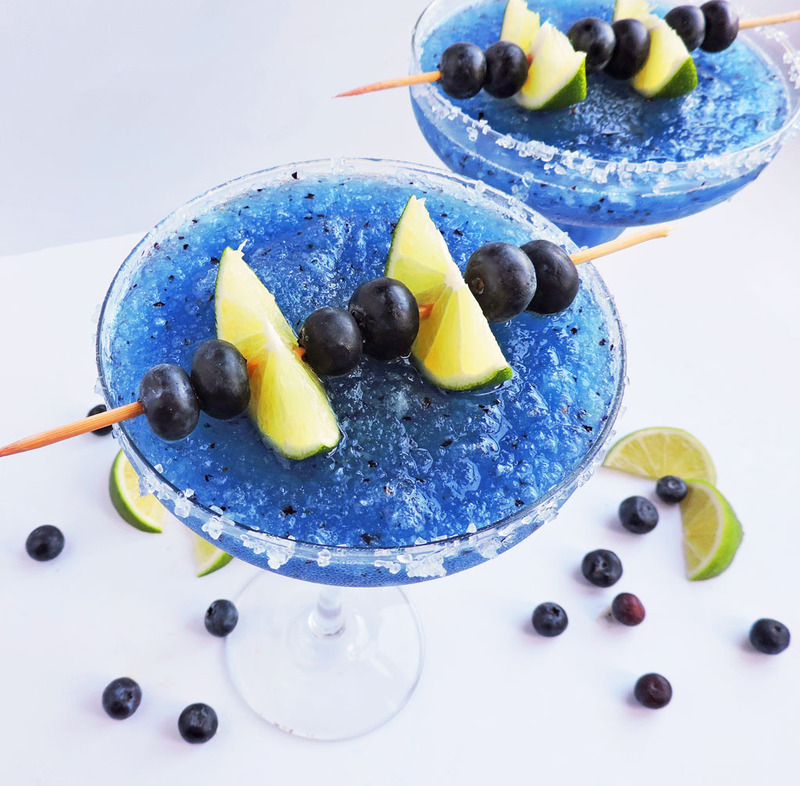 The inspiration for this Fresh Frozen Blueberry Lime Margarita was, of course, my love for a good margarita and my love for incorporating fresh ingredients into my cocktails! AND I recently purchased these amazing margarita glasses, Libbey Vina Margarita Glass, Set of 6 , so I just had to put them to use! If you haven’t noticed by now, I love to add an element of freshness to my cocktails! 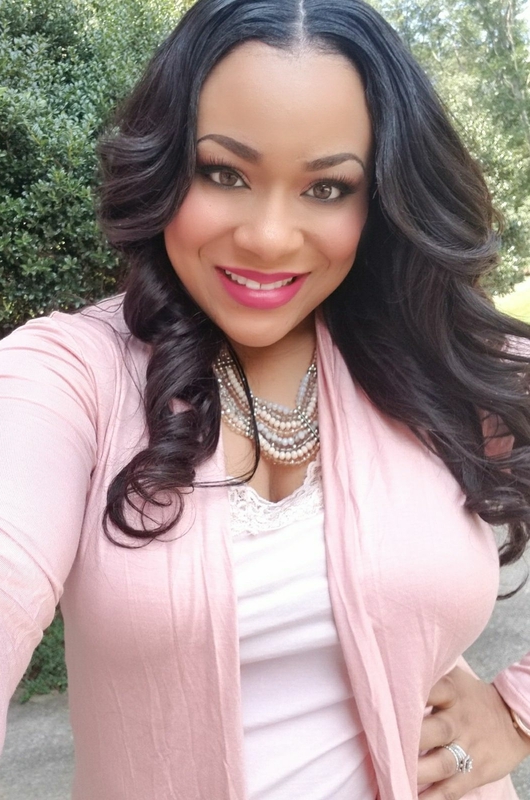 Recently, I added fresh mint and fruit to this delicious cocktail, Bourbon Ginger Peach Sweet Tea…the results were OMG, yumm!! 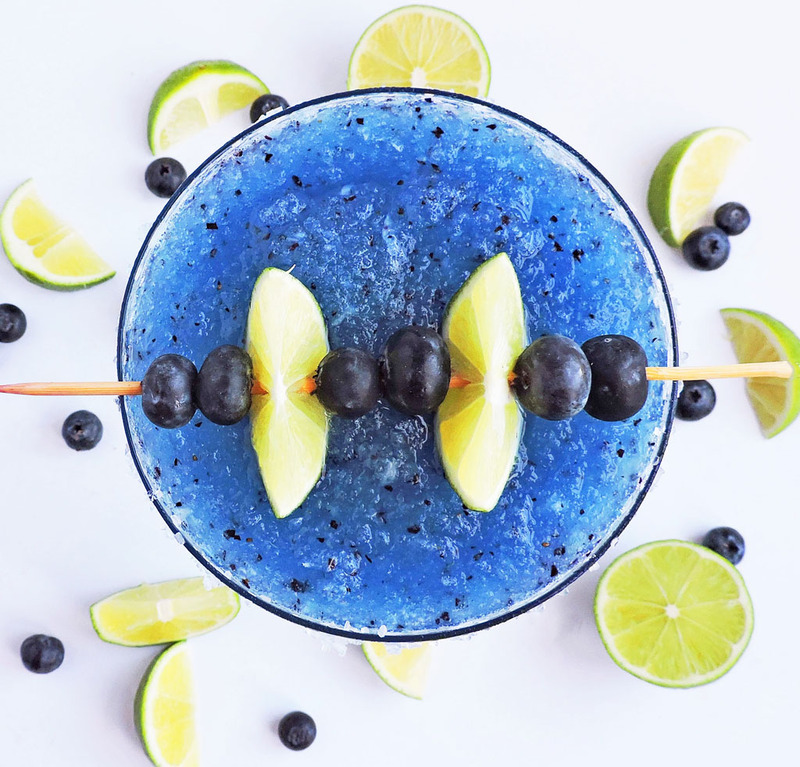 This Fresh Frozen Blueberry Lime Margarita was super easy to make! 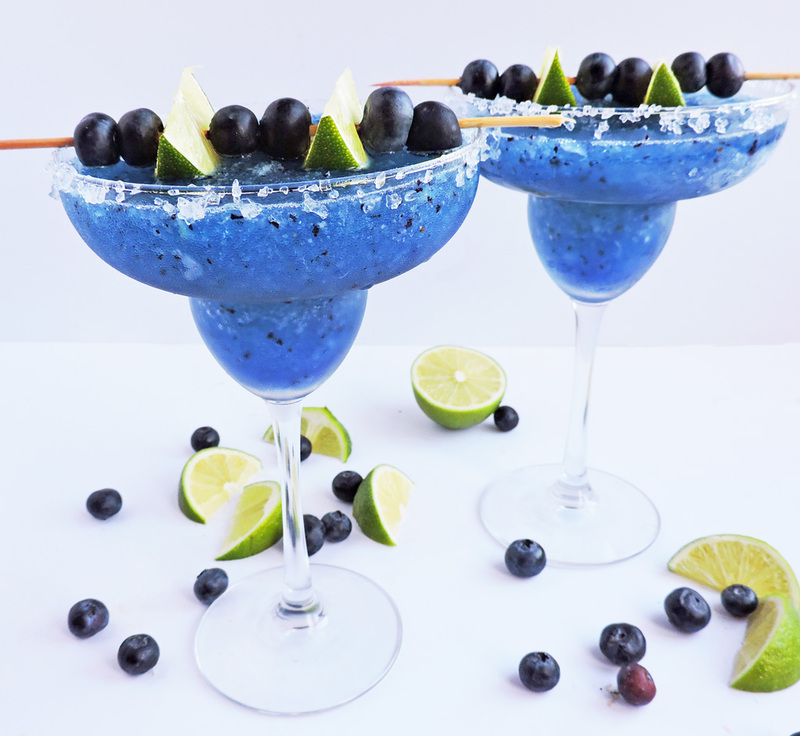 All you need is a blender, your fresh ingredients, and a great set of margarita glasses such as these Libbey Vina Margarita Glass, Set of 6 . 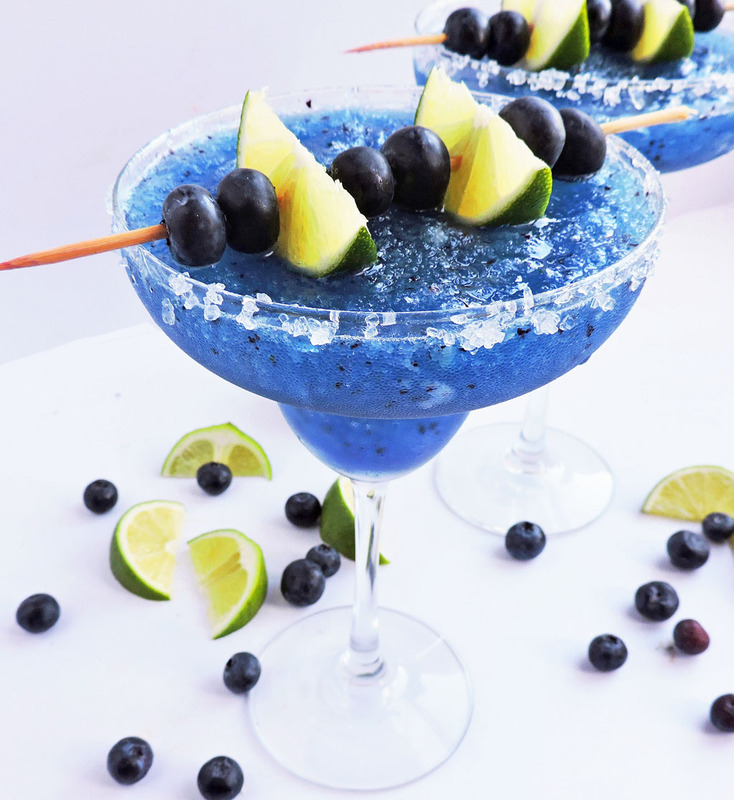 The alcohol content can be altered to your taste, but I think you’ll enjoy the recipe just the way it is! Just before serving, be sure to coat the rim of your glass with salt, or my fave, sugar! 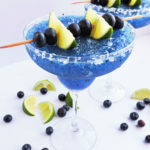 Top with a few more blueberries, lime and enjoy! 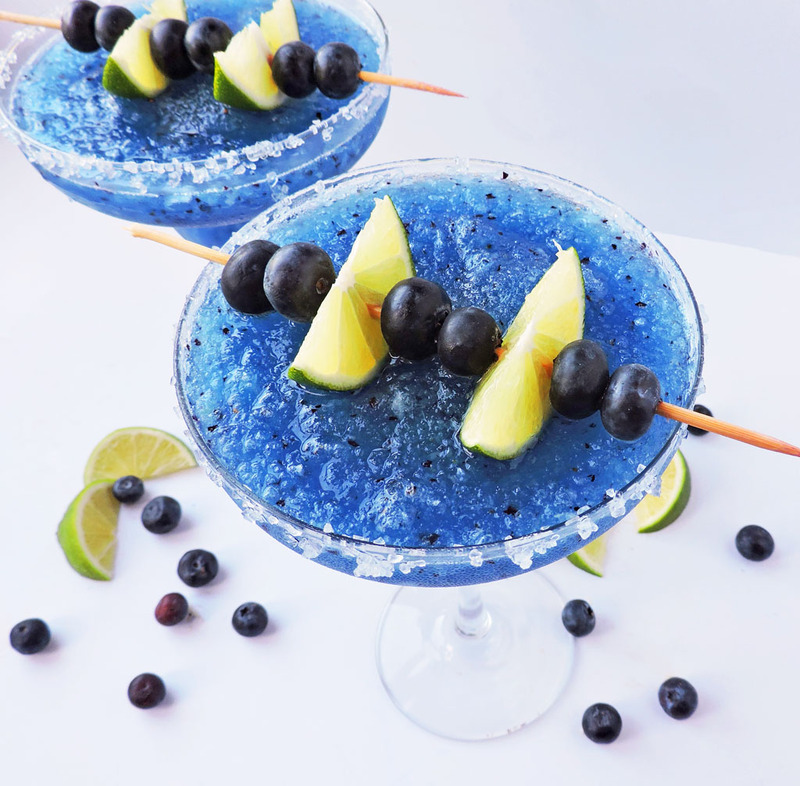 Be sure to follow me on Pinterest and Instagram for more cocktail and recipe inspiration! Andy, my husband I enjoy making new cocktails and this one will be added to my list to try. I love the use of fresh fruit too! 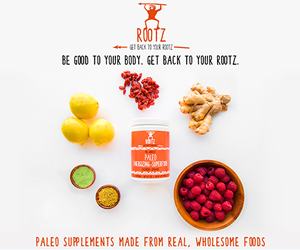 Thanks for sharing the recipe! Thank you! That’s one of our favorite things to do too! We’ve been having a blast trying new recipes!! what does it mean by 1 1/2 tbsp of blueberries? I would think you would measure by cups of blueberries. Hi there! I just used my tablespoon to measure out about 6-8 fresh blueberries! Thanks for stopping by! So do you add blueberries in the blender as well? How much? Yes, I add about 1 and 1/2 tbsp of blueberries which is about 6-8 blueberries. Thanks for stopping by!